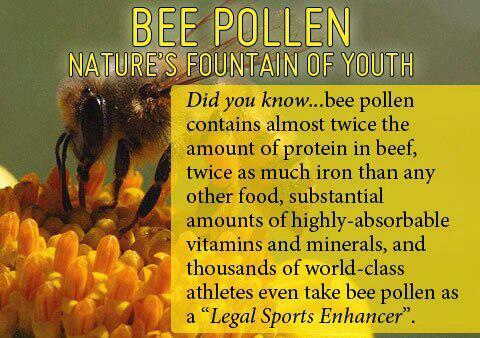 Bee pollen is the new steroids. The Mega amounts of vitamins and minerals. With high absorption make this supplement a perfect if not superior choice for all body builders, athletes, and sports enthusiasts. With twice the protein of beef and iron it is the only choice. Go get it and #GetBrolic! This entry was posted in Food/Meals, Health and Human Body, ROIDS, Supplements, Supplements and tagged #get brolic, @latinscientists, absorption rates, athletes, bee pollen, beef, bees, body builders, bodybuilders, highly absorbable nutrients, iron, latin scientists, legal sports enhancers, minerals, natures fountain of youth, pollen, protein, vitamins, weight lifters, weightlifters. Bookmark the permalink. 1 Response to Bee Pollen, The New Steroid?